Ok first (((hugs))) I am sweating just reading this but how awesome that they check them at night! That was always a worry for me. Sounds like they are in great hands!! I'm curious how do they handle site and cartridge change? OK, so I was totally prepared to offer some words of comfort and advice but now I'm am just beyond jealous!! 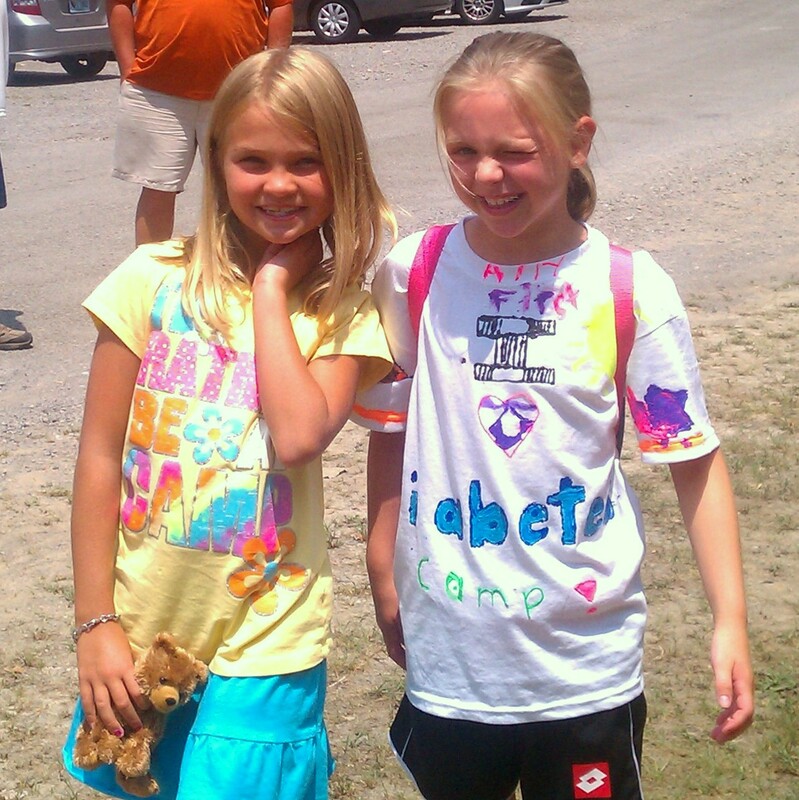 You got to take her TO THE CAMP and SET UP HER BUNK?!?! We put Bean on a school bus for a two hour drive to camp! You got to SEE PICTURES of her?!?!? We got NOTHING all freaking week...with the exception of the little note Bean sent that we got the day before we picked her up! OK, rant over....yes, it's totally hard to have their supplies at home (it like they are missing a limb!) and it takes a couple of days to not have the overwhelming worry about what they are doing and what their numbers are (it turns into wonder instead of worry, at least it did for me!). I'm so proud of you! I don't know if I could do it! 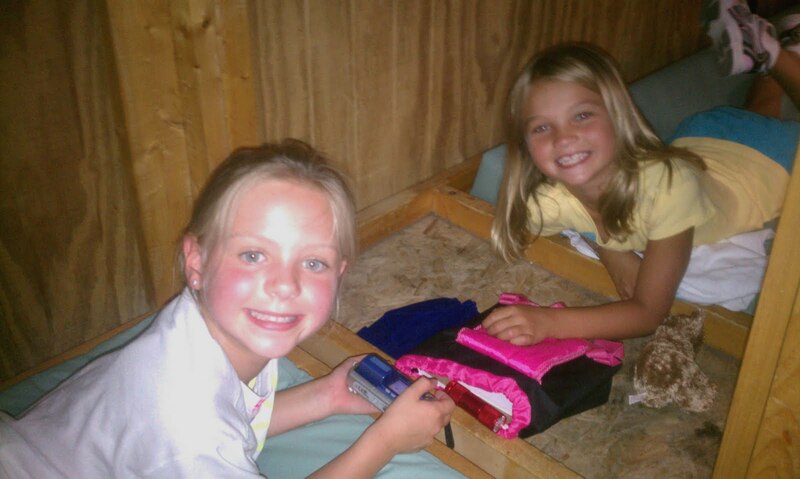 Love that she already had a friend to share a cabin with, love the counselors IN her cabin, and the night time checks! Sounds like you left her in wonderful hands. : ) You can do this! : ) Hugs! How do you do it????? I have a whole year to prepare myself (we were conveniently away when this year's D-camp was held) and reading this gives me the shakes! I love that you got to go into her cabin and meet the staff and grab some super cute photos. Hold tight to those smiley memories when you start to worry. Also...I got on FB recently and love connecting with other D-Moms there. Are you on? If so, please find me. I'm Tracy Capps Selle.